In his biography of Sigmund Freud’s early life, Becoming Freud: The Making of a Psycholanalyst, Adam Phillips acknowledges the awkwardness of documenting Freud’s life when Freud himself hated biography. Freud angrily rejected offers to from hopeful biographers. He believed that biographies could reveal no truths about a life. He even went so far as to destroy personal documents from his young life in order to confound future biographers. 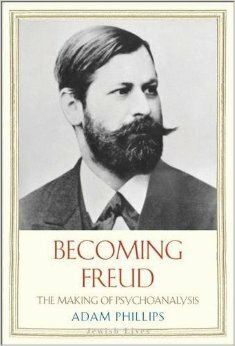 Freud’s vehement opposition to biography and, in particular, his own biography, says a great deal about his life and his character. His preemptive destruction of documents to keep them from the hands of “biographers” (he specifically used the plural) shows his sense of self-importance and his need to control his biographical record. It should not be surprising that the father of psychoanalysis—the “treatment which enabled people to speak on their own behalf”—desired to tell his own story of his life. Though he stops short of actually psychoanalyzing Freud, Phillips’ displays a fine understanding of the tenets of psychoanalysis. His sensitive descriptions of Freud’s personal development, invite the reader to make parallel comparisons to the development of his work in psychoanalysis. Don’t miss your chance to win a copy of Becoming Freud. Enter our Goodreads giveaway before next Thursday, June 5th. Win a copy of The World Atlas of Tattoo!